There's a pattern? I just choose randomly. Well, based on my 100% non scientific observations, the best prizes seem to flow from left to right, fall off and circle back around to the left side again. But you have to watch out for barking dogs/phone calls/text msg/etc distractions, I tend to lose track. Your mileage may vary. 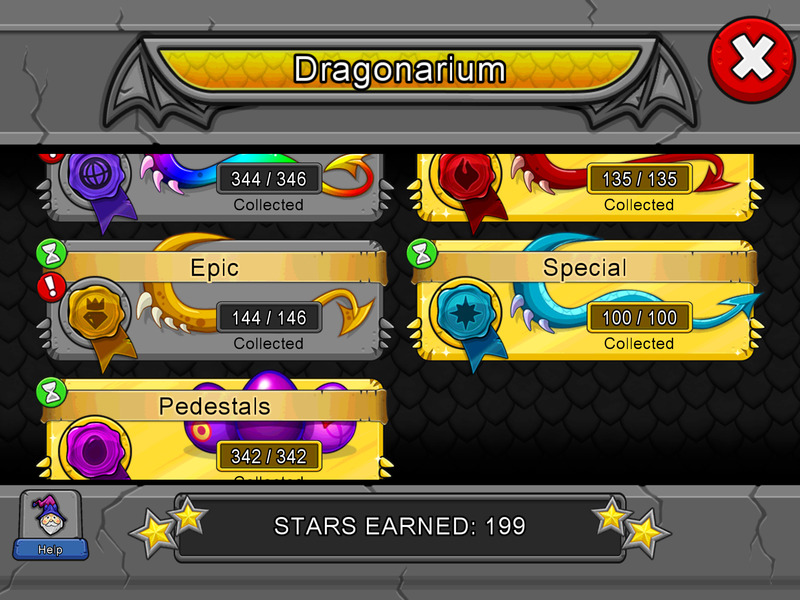 Yeah or one that could collect all dragon cash (and event items) in one go. Just gat a similar ability in another game I play and saves so much time, especially as your park gets bigger. It has a cool off period of 4 hours, then can reuse. Perfect for first thing in the morning before work. An "Undo" button! Also for when I reflexively hit Rebreed when I've just bred the desired dragon! OMG .. me too! I've tried a couple of different "swiping" techniques and I don't feel like the numbers really move - it just slides around. Weird. YES! I would LOVE to be able to gift a specific dragon to a friend! If I have understood it right there will be no eggs for Mythic. Sorry this is my one rant with BFS and their rolling daily 24 hour timers that are 1 on the Coliseum and 2 on the dragon roll are complete BS. By that I mean that I feel they should always be 23 hour timers so that you can try to maintain the roll and the coliseum reset at a decent time of the day instead of constantly pushing you along later and later to be able to do it daily it will force you to eventually skip a day. Or if you don't do that... Let us affect it with Khairos and turn back the time 6 hours every 3 days. Simply again to maintain a decent reset timer. Has anyone else had issues with their Facebook being logged out at the start up of DV? Two very persistent issues since the mythic update, my account is logged out when first opening my game, and switching parks causes the loading parks screen to freeze. I have to close down the game, then start it up again, which subsequently logs me out of Facebook. Hitting the login button doesn't work right away either. I noticed this being more of a problem on my kindle vs my phone. I was just thinking the same about the timer being less than the 24! I second the motion! At first, my die roll was at 6:30. Now it's at 10:15. I now understand how mythical they are! 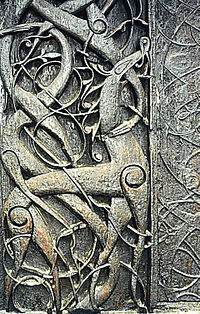 As I have shown before the dragon comes from the North and from the tale of Ragnarrök. Here a part of the Urnes stavkirke in Norway. I had been rolling my dice a few min after 1pm est, which is around when it went live. Then with daylight savings changes, it moved it to sometime after 2pm. I checked today at 1:30, thought I'd better come back in an hour, and then promptly forgot for the next 3-4 hours. I would love 23 hour timers on this and the coliseum, or letting Kairos effect those timers, so that we can keep a consistent time of day for daily activities in game. It would be fantastic! But I'd be surprised if it happened without some other modifications to the system, because of the double experience timers. The Coliseum experience is pretty hefty, even moreso if you can double it twice. It's probably too early to know the answer to this question, but has anyone gotten duplicate fragments yet? I know you could sometimes get duplicate pieces for Gaia and Kairos. I'm also considering just buying the cheapest pieces, but I'll be annoyed if the first fragment I manage to get ends up being one of the ones I bought! I rolled a 1... 2 days in a row. Was trying to spin the die like I was curving a Poké Ball in Pokémon GO, but I guess that didn't work out so well. Just want to tell; Bought some fragments with collected gems. After that I succeded to get a fragment - after days of whining.